Early Morning Magic is an amazing offering at Walt Disney World which allows guests to have exclusive access to a specific Disney theme park. During the event, guests will get to ride some of their favorite attractions with fewer waits and enjoy delicious breakfast offerings. It is a ticketed event that is separate from regular park admission. We have learned that the offering for Magic Kingdom Park and Disney’s Hollywood Studios has been extended. There are now dates available for the event through the end of August for Disney’s Hollywood Studios and then through the end of September for Magic Kingdom Park. The Magic Kingdom Park offering takes place in Fantasyland and features attractions in that land. 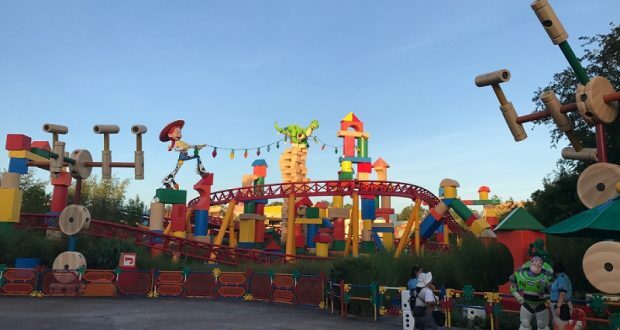 The Disney’s Hollywood Studios offering is available for the Toy Story Land area of the park. At Magic Kingdom, the event is usually offered on Sundays and Tuesdays, while at Disney’s Hollywood Studios, the event is offered on Mondays and Wednesdays. The Early Morning Magic event gives guests the amazing opportunity to experience select attractions and a delicious breakfast with a limited number of guests. It is important for guests to note that only select attractions will be open and not the entire park. Guests don’t experience as long of a wait time for attractions and they get to power up with breakfast before a full day of vacation fun. The breakfast is typically a full buffet with a variety of offerings to suit all taste buds and breakfast needs! Who has done Early Morning Magic before? What did you think?